As is only natural, most products on the market tend to evolve over time, getting new features, new designs, and new names every few years to keep up with changing times. And credit cards are no exception. The very first Discover Card launched in 1986, introducing the concept of cash back rewards to the consumer credit card market. Since that time, the issuer’s card offerings have been through several changes. But while many of the changes to Discover’s credit card product line have been good for consumers, the switches from one product to another can cause some confusion. 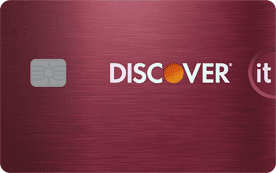 In short, the Discover it® Cash Back card is the most recent iteration of Discover’s product line, having replaced the Discover More® card in 2013. 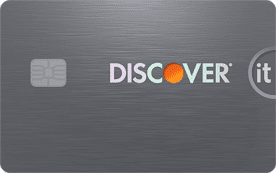 Looking at the timeline of changes throughout Discover’s history, the first major change to Discover’s product line came more than a decade after the company’s inception, with the launch of the Discover Platinum Card in 1998. The Platinum card offered cash back rewards based on your annual spending, with better rewards rates the more you spent. The Platinum Card was later joined by The Gasoline Card (bonus cash back on gas purchases) and The Miles Card (for travel redemption) in 2003, making a trio of rewards cards available to consumers. The Discover Business Card, aimed at small-business owners, joined the group in 2006. A year later, the Discover Motiva card was launched, the industry’s first card to offer cash rewards for making on-time payments. 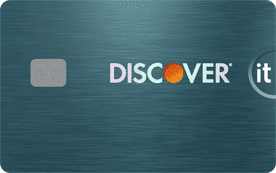 Discover has had a range of different cards over the last few decades, including the original Discover Card, the Discover Motiva Card, and the Discover More® card. The Discover it® Cash Back is the latest in the line. 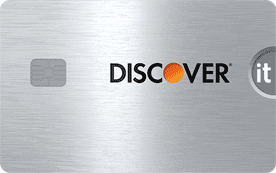 The same year the Discover Motiva launched, the Discover Platinum Card was replaced by the Discover More® Card. 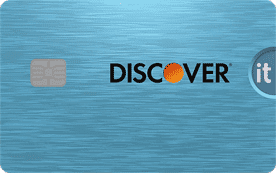 The Discover More® card was the first Discover card to offer rotating bonus rewards categories to cardholders as a way to earn more cash back on certain purchases. 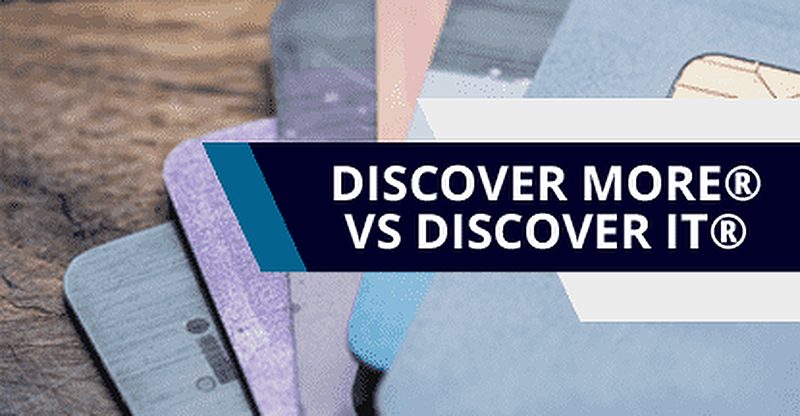 The Discover product line remained relatively unchanged for several years, but 2013 brought big changes with the introduction of the Discover it® Cash Back card. A fitting replacement for the Discover More® card, the Discover it® Cash Back offers many of the same benefits as its predecessor, including quarterly rotating bonus categories and no annual fee. During its ups and downs, Discover maintained its consumer popularity, and it remains one of the most highly rated issuers for customer service. While the issuer’s product line may not be as robust as that of some others, Discover maintains a variety of solid rewards cards. Today, Discover’s product line focuses on consumer cards, with no business options available. The line includes the Discover it® Cash Back, as well as the Discover it® Miles card — which replaced The Miles Card — and the Discover it® chrome card, which replaced The Gasoline Card. Discover also expanded the it® line several times, adding two student credit card options, as well as a secured credit card that offers rewards — a rarity in the credit-building card marketplace. As the pioneer of credit card rewards, Discover has always maintained solid rewards offerings in its card lineup, and its current family of cards is a reflection of that legacy. Whether you want cash back or miles, flat-rate rewards or rotating or set bonus categories, there’s a Discover card designed to fit the bill. No matter what type of rewards you want to earn, you’ll never need to worry about them expiring so long as your account remains open and in good standing. Plus, all the Discover credit cards will come with many of the same cardholder benefits, including 24/7 account monitoring and a $0 Fraud Liability Guarantee on unauthorized purchases made with your Discover card. While purchase rewards are often what steals the show, no rewards card on the market will offer enough rewards to offset a high APR. If you’re carrying a balance on another card, the balance transfer deal offered by this Discover card can give you up to 18 interest-free months to pay down your balance. Keep in mind that the 0% APR introductory period applies to balance transfers made within a set period of time after you open your account (check the terms to see exact dates). Additionally, the 18-month offer does not apply to new purchases (you only get six months for new purchases). Once your promotional period expires, you’ll be charged the regular balance transfer APR of 14.24% - 25.24% Variable. Another thing to remember is that you’ll be charged a one-time balance transfer fee of 3% of the transferred amount to transfer a balance from another card to your Discover card. For many students, college is not only a time of great academic learning, but is also the first time these young people will live on their own and handle their own finances. Student credit cards can be a way to get started using credit, as they tend to be more forgiving of shorter credit histories than other prime credit cards. Discover’s student credit cards not only come without an annual fee, they’ll also offer purchase rewards to help students earn while they learn. As an added incentive for student cardholders to excel in the classroom, Discover’s student credit cards offer Good Grade Rewards, which provides a $20 statement credit each school year the student’s GPA is 3.0 or higher for up to five years after account opening. Plus, with no late fee for the first late payment and no penalty APR for late payments, these student cards can give beginning credit users a bit of a cushion to get the hang of things. The Discover it® Secured card is the newest addition to the family, and a welcome one for many. A bit of a consumer credit unicorn, the Discover it® Secured card offers cash back rewards on every purchase — without an annual fee. Not only will your Discover it® Secured card earn you 2% cash back at gas stations and restaurants on up to $1,000 in combined purchases each quarter, you’ll earn unlimited 1% cash back on all of your other purchases. While cash back rewards on a secured credit card with no annual fee is enough incentive for many to jump aboard, the Discover it® Secured card has another feature that makes it a good pick for credit builders: it’s upgradable. 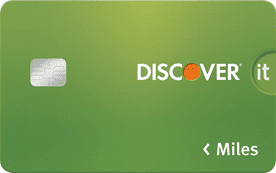 As you use your Discover it® Secured card, Discover will periodically look into your credit progress. If it looks like you’re ready for the next step and your account is in good standing, Discover will automatically upgrade you to an unsecured credit card, refunding your deposit. Change can be scary — but that doesn’t mean it’s inherently bad. Some changes can be for the better, like when your favorite credit card rewards program gets an upgrade. Over the last few decades, Discover has made a number of changes to its credit card lineup, but many of these changes have had positive results. Its latest change — the introduction of the latest generation in the Discover family of cards — brought a lot of strong contenders to the modern credit card market. The Discover More® card may be, well, no more, but its replacements are a fitting addition to the collection.